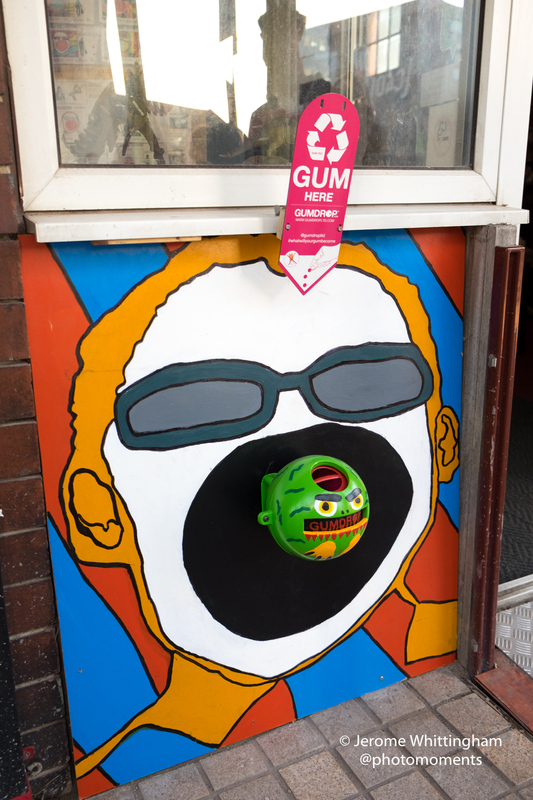 In our 'Chewing Gum Gone' project we have been working with young people to help tackle the problem of discarded chewing gum on the streets of Hull. 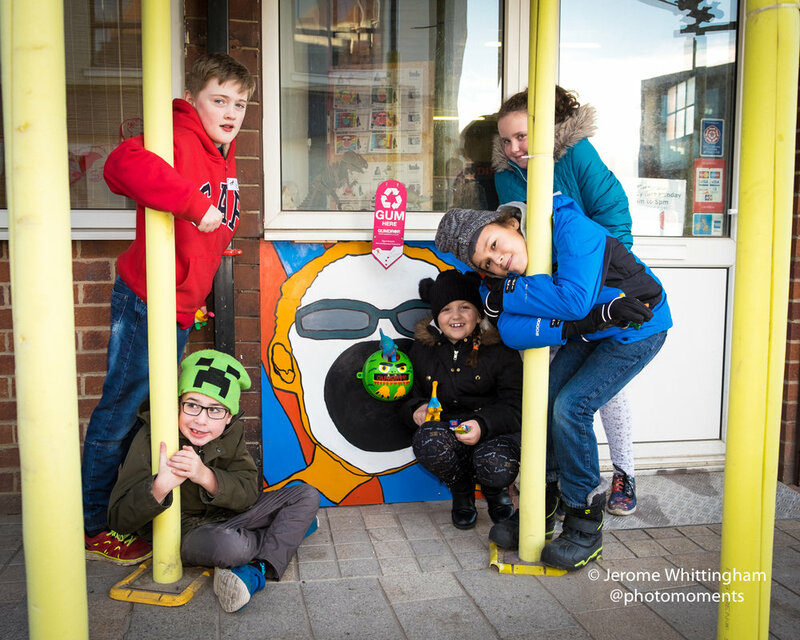 Young people in Hull were tasked with designing their own pieces of artwork to be painted onto specially designed bins for recycling chewing gum. 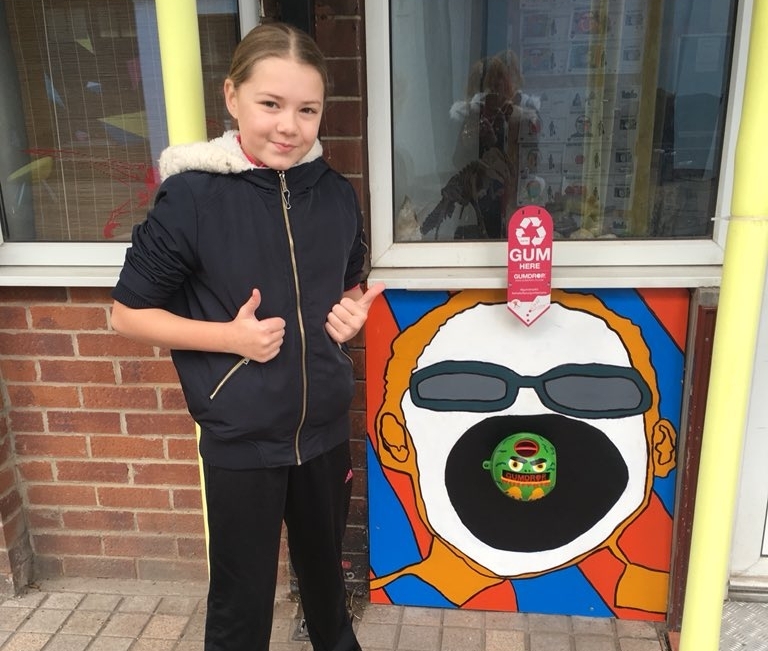 We are now delighted to confirm that Annie, a student at Estcourt Primary Academy Hull, has been crowned the winner in designing the first chewing gum bin in Hull, which is owned by Dinostar, Hull's Dinosaur Museum. Annie's bin design was chosen out of hundreds of designs from children at schools across Hull. The public voted for their favourite bin at our pop up exhibition, and Annie's received lots of votes. Steve at Dinostar had the final say, and chose Annie's bin because of the simple but effective and fun design, which showed creativity, and an understanding of the brief. Her design was painted onto the metal bin by artists, and installed on Humber Street in Hull in 2017. Annie's Design, which won her first place. In the podcast below, Annie tells us about her winning design, and her teacher Mr Ullah explains how important it is that children have real-world experience with creative professionals like the team at Creative Briefs.